Spill kit contents can vary depending on the type and nature of the spill kit. This article takes a look at the typical spill kit contents that you will find and spends some time considering what these products are and what they actually do in order to help you with spill containment when something goes wrong. Back in the 90’s an insurance company ran an advertising campaign in which its selling point was ‘we won’t make a drama out of a crisis’. More than two decades later, the objective of dedicated spill kits is just the same: to prevent unplanned and unwanted incidents from becoming worse than they already are. Their effectiveness relies on a combination of simple science on their part and forward planning on ours and yours. By expecting the worst – remember Murphy’s Law: Whatever can go wrong, will go wrong – you are able to plan for the best outcome when it does. Crucial to the effectiveness of spill kit contents are three key factors: Anticipation, Prevention, and Cure. Let’s look at all three in turn. If your workplace contains anything that will spill, the best response is to think ahead, and have the right equipment, on the right scale, in instant readiness. 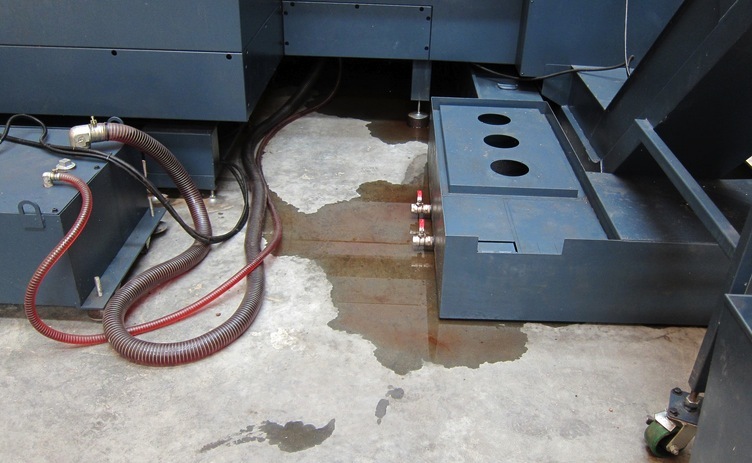 A key component of having the right equipment in place is to have a spill kit. You should consider your particular risks and prepare some form of spill kit contents checklist to ensure that you have all products that you require in anticipation of any particular issue. Typical spill kit contents include spill absorbents aimed at ‘soaking up’ any escaping liquids; this would include absorbent pads and absorbent socks. We explain a little more on how absorbent products work later. For lorry drivers, if they are carrying ‘spillable’ materials then they should certainly think about an ADR Spill Kit in order to comply with the Regulations. This should include items such as PPE, drain covers and a warning triangle. Preventing a spill in the first place is about good working practices. But think of Murphy’s Law. What if a spill happens, what do you need to prevent its spread? As mentioned above, spill absorbents are typical spill kit contents. Spill Control Centre offers absorbents in a number of forms that feed into the prevention process and will allow you to start the clean-up process immediately to try and help you in preventing its spread. These products may be spill pads and spill socks to suit the job, and are available in different sizes to match the size of the spill. Colour coding helps with easy identification in an emergency – for example, oil absorbents are white; water absorbents are black or grey, and chemical absorbents are yellow. Spill pads are best for absorbing small spills or wiping surfaces; spill rolls reduce waste by allowing you to tear off only what’s needed; spill socks are perfect to bund spills or surround leaking machinery. All of these work in the same way by actively targeting and absorbing the offending spill; they are simply different shapes and sizes for use in different scenarios. Absorbent granules can be added to a spill kit and can be very effective for any clean-up work after a spill. They should conform to BS476 Part 7, which means they’re chemically inert and fire retardant. The science behind them all is much the same, and is based on organic chemistry. That’s what allows these products to soak up liquids and convert them into solids that can be shovelled or swept up for appropriate disposal. Many absorbent granules are based on cellulose – a complex combination of carbon, hydrogen and oxygen, and in one form or another the most common organic material on Earth. It’s a kind of sugar, and readily absorbs all kinds of liquid. Think cat litter, for instance. However, not all absorbents are the same when it comes to side issues that ought to be considered. Some, for instance, are crush-resistant, which is important if they’re to be used in yards with a lot of vehicle movement. Others are non-slip, so useful for areas where people have to walk about. Furthermore, others may be approved for use by the MoD; others may conform to European Safety Standards. Always remember, whichever part of the spill kit you use it is essential to properly dispose of the used products in a thoughtful and environmentally friendly way; whether it be used absorbent granules, socks or pads, the comment applies equally to all. Think insurance. How much more sympathetic might an insurance company be if a company is able to show that it took reasonable care to guard against and prepare for a spill if one should happen, rather than to be blasé about it and make no preparations at all. Spill Control Centre’s spill kits is a great place to start looking for the products that are just right for your business. This entry was posted in Spill kits and tagged spill containment, spill control, spill kits on February 23, 2016 by neil.stocks.